Go for a white long sleeve blouse and brown shorts for your kid for a cool, fashionable look. 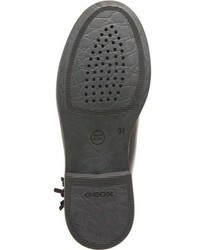 Geox girls agata boot from Nordstrom are a wonderful choice to round off this getup. This combo of a grey star print sweater and a grey skirt is both a comfortable and stylish choice for your girl. 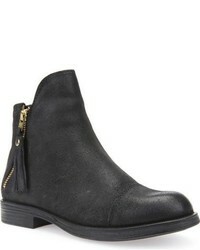 Geox girls agata boot from Nordstrom are a wonderful choice to complete this outfit. Dress your mini fashionista in a grey print long sleeve t-shirt and a grey tulle skirt for an easy to wear, everyday look. 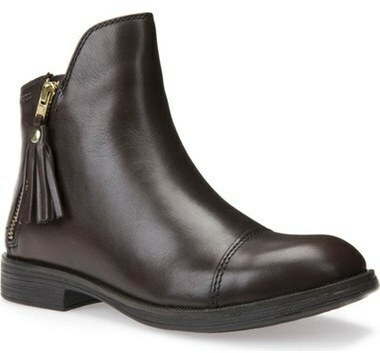 As far as footwear is concerned, suggest that your little one rock a pair of dark brown leather boots. Suggest that your kid wear orange polka dot dress for a comfortable outfit that's also put together nicely. 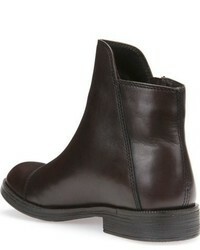 As far as footwear is concerned, suggest that your darling throw in a pair of dark brown leather boots.